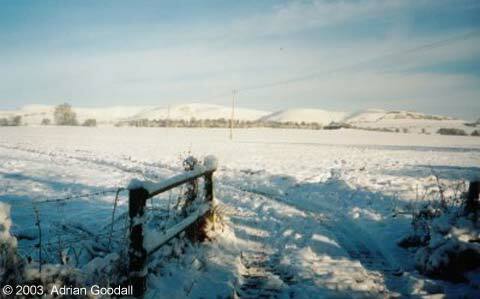 Tan Hill & the track in the snow, december 1999. (click here to enlarge). 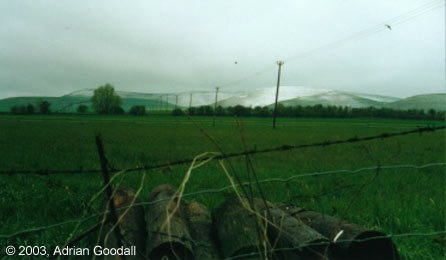 Tan Hill looking cold!, april 2000. (click here to enlarge). 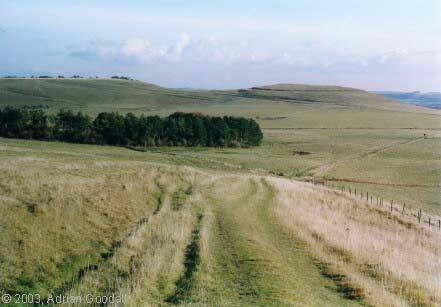 Looking north from Wansdyke, May 2000. (click here to enlarge). 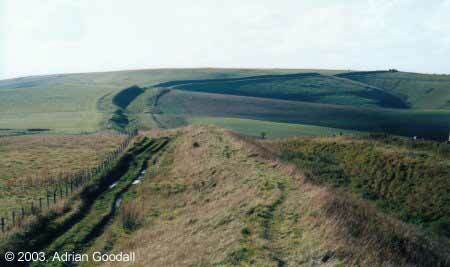 Wansdyke, looking East from Tan Hill, september 2001. (click here to enlarge). 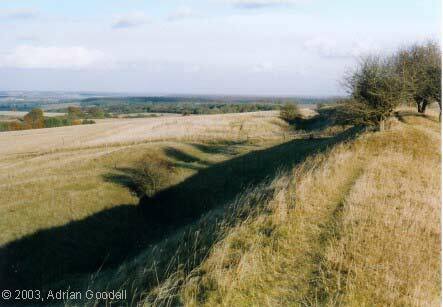 Wansdyke, looking West from Milk Hill, september 2001. (click here to enlarge). 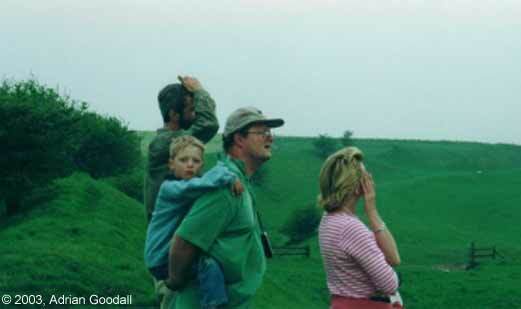 With family, september 2001. (click here to enlarge). 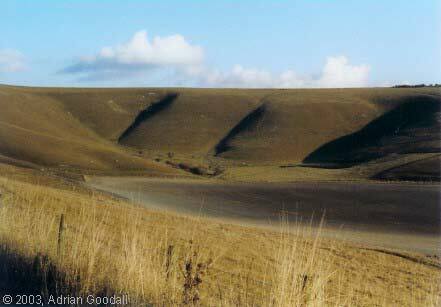 Silbury Hill from Wansdyke, september 2001. (click here to enlarge). 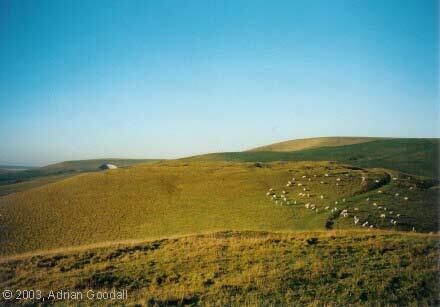 Rybury 'Camp' from Wansdyke at Tan Hill, september 2001. (click here to enlarge). 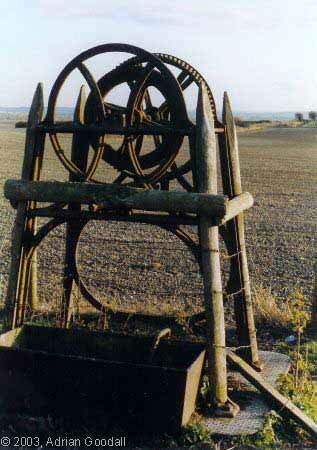 Well on the Downs, september 2003. (click here to enlarge). 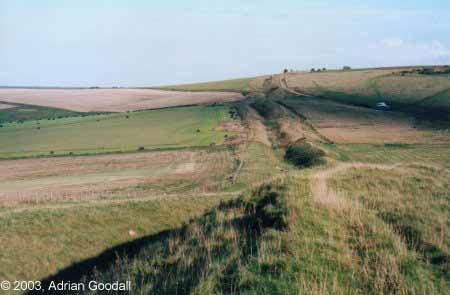 Wansdyke, looking at Milk Hill, september 2003. (click here to enlarge). Wansdyke at Milk Hill, looking at Rybury, september 2003. (click here to enlarge). 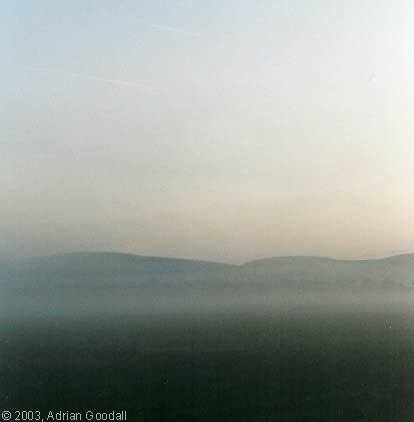 Mist, september 2003. (click here to enlarge). 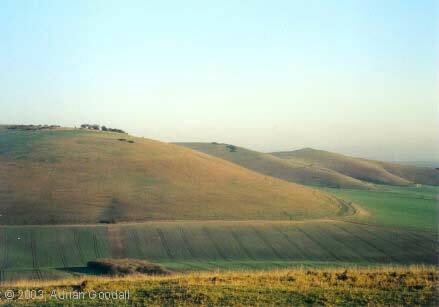 The Downs, september 2003. (click here to enlarge). 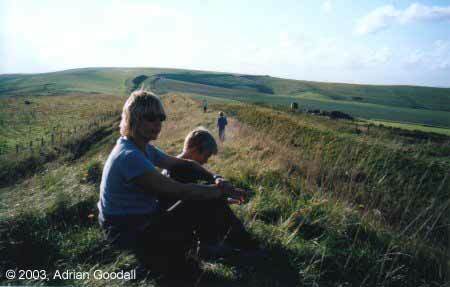 Wansdyke, Milk Hill, september 2003. (click here to enlarge). Rybury with sheep, september 2003. (click here to enlarge). Copyright � 2003, Adrian Goodall. All rights reserved. Used with permission. Comments to: Adrian Goodall. Visit his site about All Cannings.